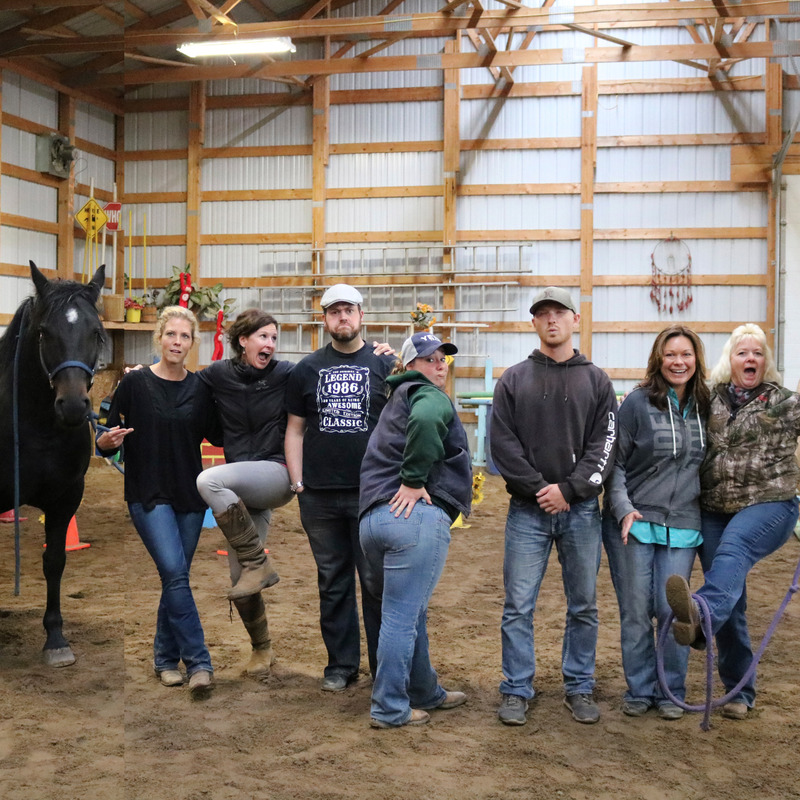 Participation, retention, fun and oh yeah... a horse! We build the program based on your objectives, business values and team requirements. 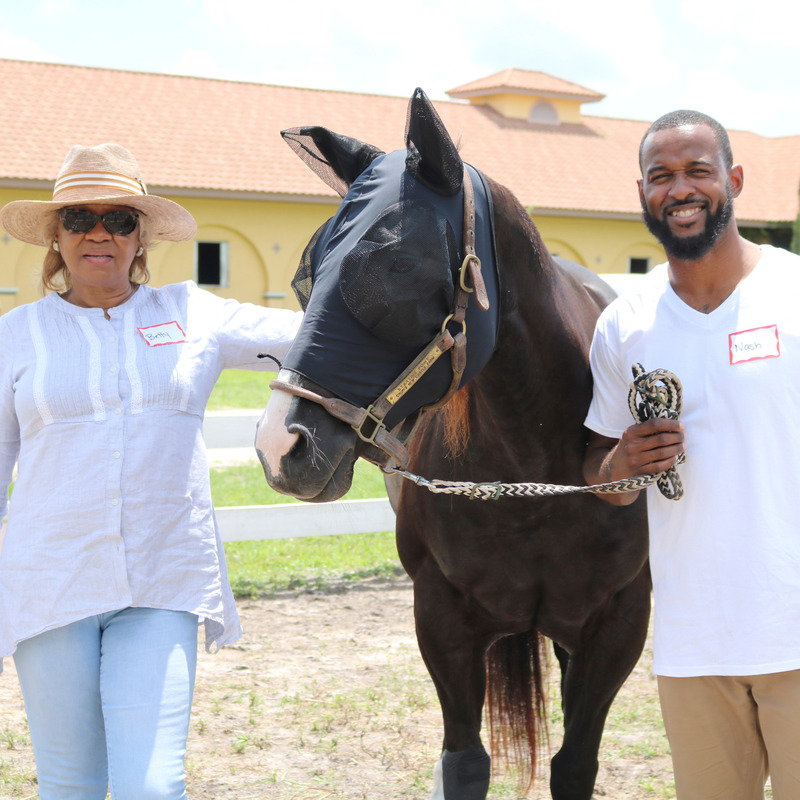 Our experiential Equine-Assisted Learning activities takes your employees and/or clients out of the regular ‘classroom’ setting and ratchets up their critical skills and competency at each level though horse/human interaction. Your employees and/or clients will not only have fun with these events but will leave with solid skills they retain and improved morale, which translates into improved productivity. By putting the horse in the middle of your team, right here in Cowboy Country, you’ll be guaranteed it will be remembered as one of the best events you’ve ever given them. No riding the teachers. Sure you can finish each others sentences and anticipate your next moves, but maybe that is preventing you from truly communicating. We end up anticipating within teams we have been with for a long period of time and not making sure that we are effectively communicating what should be happening within the team. You put a lot of investment into your employees. Keep them working together the way a team should. Maintaining a team that functions at its best can be your organization’s greatest asset. Sure, paintball or beer gardens at the grounds is a good time and all, but where is the application? Make your Stampede event memorable, fun AND worthwhile! 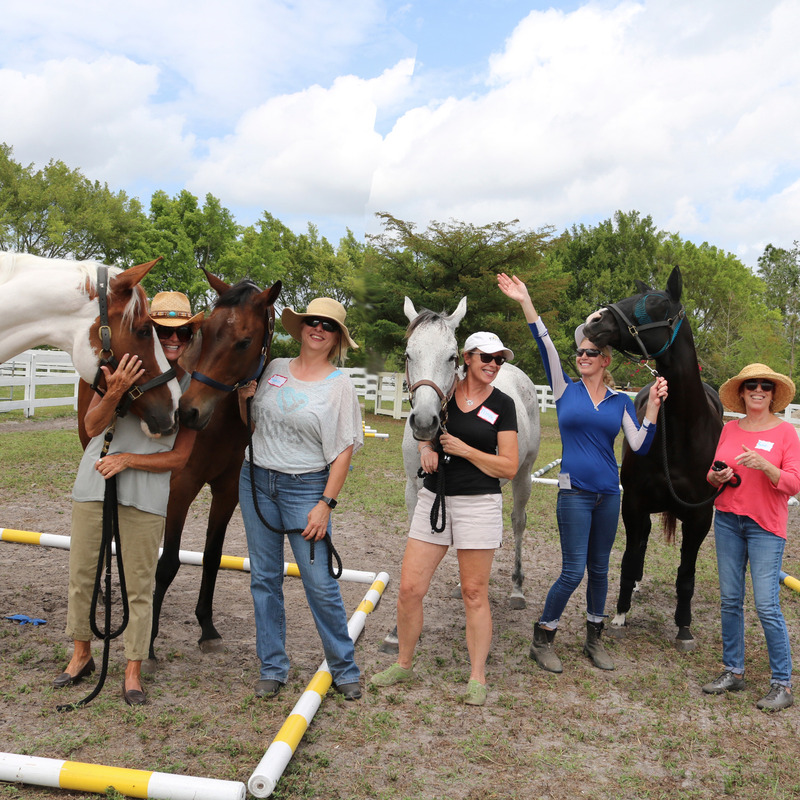 Skip the crowds and grab your sales team, clients and/or leadership team in a day getting up close and personal with our horses. A half day of working with horses out of the saddle with a unique and fun activity. Includes a real down home BBQ with some of your favourite beverages! Available leading up to and during Stampede week, Monday - Friday. Why spend time just watching horses when you can work WITH them! More FUN than an 8 second ride! You already know the potential generational issues that your organization faces. This is your opportunity to address these issues through teamwork and communication between the generations and build leadership bench strength for the future. Bring your senior managers and your next generation of leaders together to collaborate in team working, communication and problem solving, bridging the gap between your existing and up and coming leaders. Don't lose the years of skills, experience and investment, as senior managers retire. Ensure the transfer of skills to your new executives by Bridging the Gap.